Have a good idea? Have the skills/background to help develop useful products? 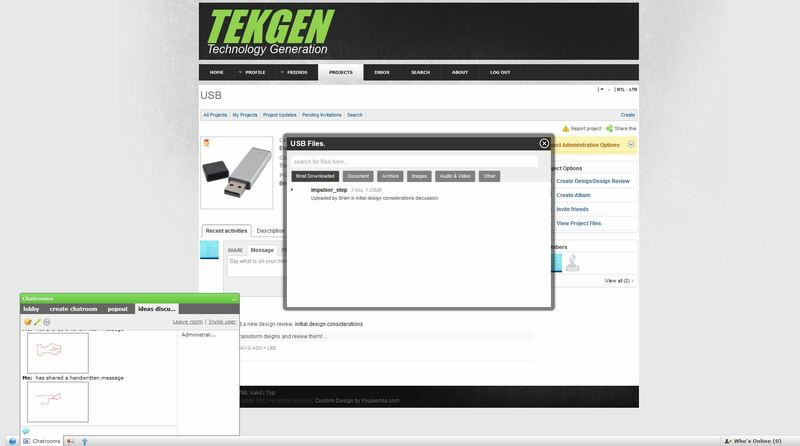 Join TEKGEN and become the first to have a project you contributed to manufactured and sold, and reap the rewards! Earn profit at no risk to you. Create profiles, initiate public/private projects, search and invite users based on skills, chat/discuss/draw in real time about products and tehnology!